This is about Obama Care over Prison Care. This is about Conflict Resolution starting in the classroom. This is about removing ALEC from my life personally. Why worry about nuclear waste? What has the future ever done for us? Letter from Marrakesh: is China the world’s new climate leader? Home school club projects for kids resulting in improved academics,environmental stewardship,healthier, more secure and engaged communities. Considering that a curbside is an underutilized strip of land between the sidewalk and the street, the regulations were a point of contention in lower-income neighborhoods, which often lack green space and access to fresh, healthy foods. However, urban farmers have reason to cheer. The L.A. City Council has voted to allow Angelenos to plant fruits and vegetables in their parkways – that strip of city-owned land between the sidewalk and the street – without a permit. Fruit trees, however, will still require a permit. owners or occupants of residentially zoned properties may install shrub and ground cover plant materials within parkways fronting their properties without the need to obtain a permit, while still being held responsible for maintenance. Teach your kids, not to enlist, to vote and to never work for free in prison-thenext generation can chage the fact that inmates make everything for free for everyone. The talk; vote; keep your credit great; watch your back for the cops; as long as inmates work to support billionaires, they will be coming for your kids. when you can’t be there;desnignate another for the health, well being freedom of your child. make sure your designee can speak for your minor child until you return or have a change of heart or mind. Parents make the choice. Listen to your kids. Contact information for the absent parent(s). Having the letter notarized is not necessary but highly recommended. A prosthetic arm made for a 16 year-old bomb victim in Sudan. Saying and doing nice things. Now some good quality paint. Water Wars–A young man from the Nyangatom tribe patrols a water access point on the border between Ethiopia and Kenya. The site of ongoing conflict between the Nyangatom, the Kenyan border police and the Turkana tribe, the Nyangatom defend this area viligently, due to the scarcity of water and suitable grazing for their animals elsewhere. how teachers can promote kindness in the classroom, not competition. a worker in a skilled trade, especially one that involves making things by hand. street markets where local artisans display handwoven textiles, painted ceramics, and leather goods. skill in a particular craft: pieces of jewellery which testify to the high artisanship of these ancient people | a heritage of exquisite artisanship. There are many different types of paint that you can make at home from thinner watercolor-like paints to thick-textured puffy paints. All that you need is in your cupboard and fridge. Ingredients like milk, flour, salt, water and some food coloring will have you painting. This paint is made using water, salt, flour and food coloring. clay Follow this recipe for making it yourself. Sidewalk chalk Check out this recipe to assemble the ingredients and start making chalk. Stamps Here’s a great step-by-step guide to making cork stamps. Recycled crayons You can follow these instructions to make some of your own. recipe for regular school-type glue and add glitter to the recipe. papier-mâché paste by just mixing flour and water like is shown here. We are in a food emergency. Speculation and diversion of food to biofuel has contributed to an uncontrolled price rise, adding more to the billion already denied their right to food. Industrial agriculture is pushing species to extinction through the use of toxic chemicals that kill our bees and butterflies, our earthworms and soil organisms that create soil fertility. 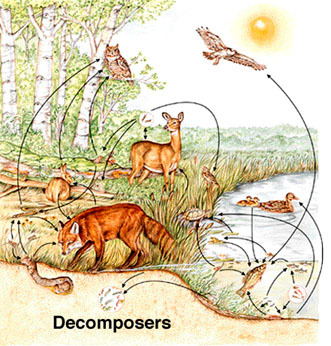 Plant and animal varieties are disappearing as monocultures displace biodiversity. Industrial, globalized agriculture is responsible for 40 percent of greenhouse gases, which then destabilize agriculture by causing climate chaos, creating new threats to food security. But the biggest threat we face is the control of seed and food moving out of the hands of farmers and communities and into a few corporate hands. Monopoly control of cottonseed and the introduction of genetically engineered Bt cotton has already given rise to an epidemic of farmers’ suicides in India. A quarter-million farmers have taken their lives because of debt induced by the high costs of nonrenewable seed, which spins billions of dollars of royalty for firms like Monsanto. while leaves are young and tender. Place a generous handful of leaves in a warmed teapot and pour boiling water over them, filling the teapot. Steep for 5 to 10 minutes. The resulting tea is a light green color with a sweet taste. Fireweed tea does not require sugar or milk to improve its flavor. Fireweed tea blends well with other wild teas. When you are out and about, never leave any litter behind. In the wild, seed dormancy is usually overcome by the seed spending time in the ground through a winter period and having its hard seed coat softened up by frost and weathering action. By doing so the seed is undergoing a natural form of “stratification” or pretreatment. This cold moist period triggers the seed’s embryo, its growth and subsequent expansion eventually break through the softened seed coat in its search for sun and nutrients. Much of the collective wisdom about healing plants was lost with the devastation of the native tribes. Coneflower The plant has the power of eliminating many types of toxins from the body. Moreover, based on researches, it has been proven that by consuming coneflower, the body is stimulated in producing more white cells, such as lymphocytes and interferon (the synthesizing substance in the cells which impedes the development of viruses and intercellular parasites) – substances which help prevent the development of malignant tumors. Seeds carry the beginnings of plants inside them. A seed has a seed coat covering it for protection. Inside, you can see the roots, leaves, embryo and food storage area. Seeds are the beginnings of a new plant, with the sole purpose of reproducing.They lie dormant until they receive the things they need to grow, such as adequate soil, water and sunlight. This process is called germination. All seeds are different and require different conditions to germinate and grow properly. Despite being different, most seeds have three main parts in common; the seed coat, endosperm and embryo. Such gardens often benefit from the plants being evolved and habituated to the local climate, pests and herbivores, and soil conditions, and so may require fewer to no soil amendments, irrigation, pesticides, and herbicides for a beautiful, lower maintenance, and more sustainable landscape. For thousands of years, the native people of North America sustained life and health with plants found all around them. Getting to know this ecosystem is the first step in preserving plants that can offer beautiful benefits to our health. For countless generations, Native Americans have used the plants around them for food and medicine. It has been reported that the various tribes on this continent used more than 1,000 species of plants for food alone. With good reason: The native plants are nutritious, rich in vitamins and minerals, and many are excellent sources of protein. Native people weren’t just sitting around their lodges, holding their sick stomachs, nursing terrible headaches and waiting for a drug store to finally open in their neighborhoods. They needed look no farther than the surrounding prairie and woodlands for help in healing the pain, wounds and infections that are an inevitable part of being human. Used printer paper, cross-cut into tiny pieces by a paper shredder. Use 1-1/2 cups for each card. The latex from the bark of this plant is used medicinally in the preparation of emulsions. Also used as a mild stimulant and to impede absorption. Has been used to treat catarrh and diarrhea. Used in veterinary medicine for mild diarrhea in small animals, foals and calves. Few people know that this tree produces the flavoring for most popular soda pops including the top two sellers. Besides that, it is a beautiful tree with a flatten crown and attractive grey-green foliage. Will grow to 30′ outside or can be container raised inside. Good greenhouse/container plant that can be raised inside anywhere or outside in zones 8-10. Phytoremediation is the process of using plants to extract pollutants.Using the knowledge that some plants have a high enzymatic activity for breaking down chemical toxins in soils and surface waters will bring about hazardous waste technology that is both economical and environmentally friendly to clean up waste sites. Phytoremediation (from Ancient Greek φυτο (phyto), meaning “plant”, and Latin remedium, meaning “restoring balance”) describes the treatment of environmental problems (bioremediation) through the use of plants that mitigate the environmental problem without the need to excavate the contaminant material and dispose of it elsewhere. Hemp can be used as a “mop crop” to clear impurities out of wastewater, such as sewage effluent, excessive phosphorus from chicken litter, or other unwanted substances or chemicals. Additionally Hemp is being used to clean contaminants at the Chernobyl nuclear disaster site. By way of a process which is known as phytoremediation – the process of clearing radioisotopes as well as a variety of other toxins from the soil, water, and air. To prevent further spread of toxins, livestock should be allowed to feed only on uncontaminated plants and on plants not tending to accumulate toxic metals within their tissues. Phytoremediation is a cost-effective plant-based approach to remediation that takes advantage of the ability of plants to concentrate elements and compounds from the environment and to metabolize various molecules in their tissues. Toxic heavy metals and organic pollutants are the major targets for phytoremediation. illustration shows how photosynthesis works. Plants take water and carbon dioxide in, add some sun, make sugars and release oxygen. Knowledge of the physiological and molecular mechanisms of phytoremediation began to emerge in recent years together with biological and engineering strategies designed to optimize and improve phytoremediation. In addition, several field trials confirmed the feasibility of using plants for environmental cleanup. (from Ancient Greek φυτο (phyto), meaning “plant”, and Latin remedium, meaning “restoring balance”) describes the treatment of environmental problems (bioremediation) through the use of plants that mitigate the environmental problem without the need to excavate the contaminant material and dispose of it elsewhere. Phytoremediation is a cost-effective plant-based approach to remediation that takes advantage of the ability of plants to concentrate elements and compounds from the environment and to metabolize various molecules in their tissues. Seed bombing or aerial reforestation is a technique of introducing vegetation to land by throwing or dropping compressed bundles of soil containing live vegetation (seed balls). Often, seed bombing projects are done with arid or off-limits (for example, privately owned) land. Step One • To make seed bombs, you’ll be combining 1 part seeds, 3 parts compost and 5 parts clay. This step can be messy so you might want to do it outdoors. Begin by mixing the seeds and the compost. Once the seeds and compost are combined, add the clay. Next, slowly add water until the mixture is moist and holds the shape of a ball. Step Two • Form 1 1/2 inch spheres out of the mixture. Step Three • Allow the seed bombs to dry in the sun. Step Four • Once they’re dry, gather fabric, twine, scissors and a tag to package them up. Step Five • Place a seed bomb in the center of a fabric circle and secure with twine. Toxic heavy metals and organic pollutants are the major targets for phytoremediation. Knowledge of the physiological and molecular mechanisms of phytoremediation began to emerge in recent years together with biological and engineering strategies designed to optimize and improve phytoremediation. In addition, several field trials confirmed the feasibility of using plants for environmental cleanup. the Native American has thousands, and the white man but some hundreds, of years of practical experience with those plants that are indigenous to this continent is a fact that must be considered of some importance. As Virgil J, Vogel puts it in American Indian Medicine: “The mere fact that a plant is not listed in the Dispensatory, or the Pharmacopeia, or the Formulary, does not necessarily signify that the plant is without medical value. 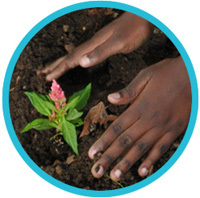 The California Native Plant Society promotes the inclusion of native plants in every school garden. 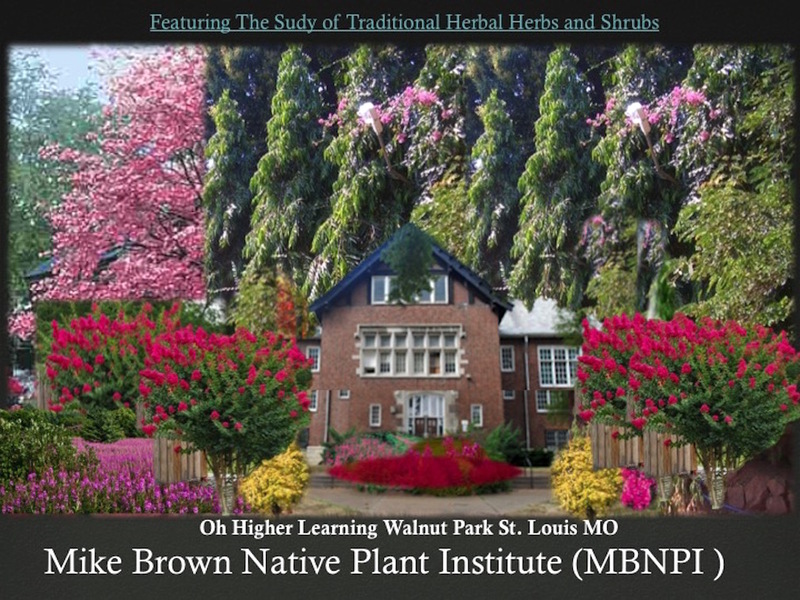 Native plants help students learn the vital connection between plants and higher forms of life. Plants are at the bottom of the food chain, and native plants are a primary component of healthy ecosystems. Just as edible plants are important for human health and survival, native plants are equally necessary to other forms of life. Native plants help pollinator populations survive and thrive, which in turn help pollinate edible crops. Download and print 2 copies of each template section. Cut out rectangles, and tape together to form template for bag. Lay a piece of Ultrasuede fabric slightly larger than the template on a cutting mat. Attach template to fabric with masking tape. Using a craft knife, cut through template and fabric along marked broken lines, working inward; then cut along border to remove excess fabric. » Nuhni blankets are all made from 100 percent Global Organic Textile Standard fabrics. This means the fabrics are produced using healthy non-GMO seeds and nontoxic chemicals. » All Nuhni blankets come in eco-friendly, sustainable packaging. » Hemp fur naturally kills and reduces the spread of bacteria such as staph and pneumonia. » Hemp fur also is resistant to fire, mold, mildew and UV light. Black Boys can create it; measure it and sew it;market it, and sell it! The goal of this project is to educate children about the useful qualities of the noxious weeds, to relieve hunger, experience new incredible flavors and bring people closer to Nature. Harvesting them for our own good would be a wonderful way to control the weeds instead of pouring hundreds of gallons of pesticides, poisoning our land and drinking water. 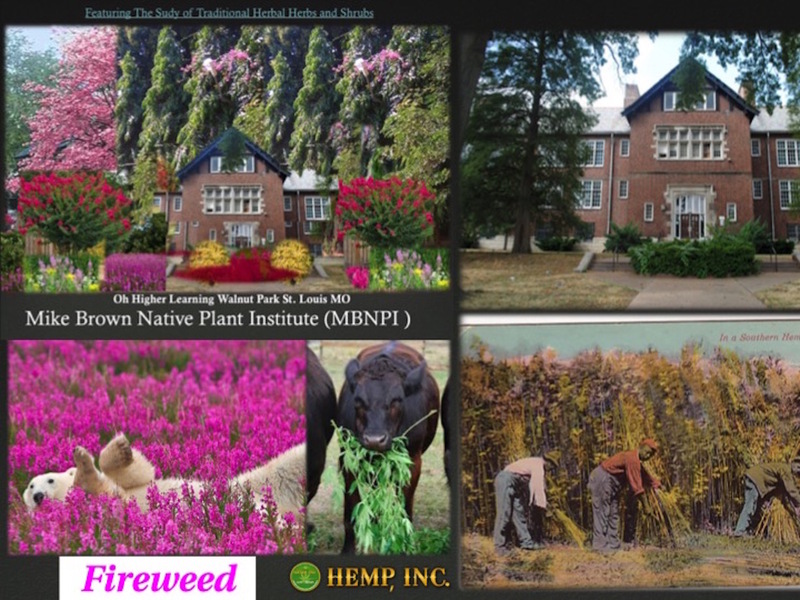 Fireweed: fireweed represents the promise that beauty will return after bodily sickness or environmental destruction. When woodlands are damaged from fire, or clear-cutting, it is fireweed that brings the first promise of recovery. It reminds us that nature has her healing cycle too, one initiated by this lush, fiery medicine springing up in abundance. Identifying fireweed: The most distinctive thing about fireweed is its gorgeous pink to purple colored flowers, which grow in a spike shape in sunny pockets all over the Northwest. Flowers have four petals, and resemble the flowers of other evening primrose plant relatives. They will occasionally create secondary branches of flowers – especially when grazed by deer or other foragers. Making Tea – Use one small handful of leaves per cup of boiled water and steep about 15 minutes. Drink up to three cups a day. The tea has a pleasant mild taste and can be mixed with other herbs for flavor. —-Constituents–—A peculiar volatile oil – oil of Erechtites – transparent and yellow, obtained by distilling the plant with water, taste bitter and burning, odour foetid, slightly aromatic, somewhat resembling oil of Erigeron, but not soluble as that is in an equal volume of alcohol. The specific gravity of the oil is variously given as 0.927 and 0.838-0.855, and its rotation 1 to 2. According to Bielstein and Wiegand, it consists almost wholly of terpenes boiling between 175 and 310 degrees F.
—Medicinal Action and Uses—Astringent, alterative, tonic, cathartic, emetic. Much used among the aborigines of North America in various forms of eczema, muco-sanguineous diarrhoea, and haemorrhages, also for relaxed throat and sore throat, and in the United States Eclectic Dispensatory in the form of oil and as an infusion, both herb and oil being beneficial for piles and dysentery. For its anti-spasmodic properties, it has been found useful for colic, spasms and hiccough. Applied externally, it gives great relief in the pains of gout, rheumatism and sciatica. —Dosage—(Internally) 5 to 10 drops on sugar, in capsules or in emulsion. The homoeopathic tincture is made from the whole fresh flowering plant. It is chopped, pounded to a pulp and weighed. Then two parts by weight of alcohol are taken, the pulp mixed thoroughly with one-sixth part of it and the rest of the alcohol added. After having stirred the whole, it is poured into a well-stoppered bottle and allowed to stand for eight days in a dark, cool place. The resulting tincture has a clear, beautiful, reddish-orange colour by transmitted light; a sourish odour, resembling that of claret, a taste at first sourish, then astringent and bitter, and an acid reaction. The young shoots were often collected in the spring by Native American people and mixed with other greens. As the plant matures the leaves become tough and somewhat bitter. The southeast Native Americans use the stems in this stage. They are peeled and eaten raw. When properly prepared soon after picking they are a good source of vitamin C and pro-vitamin A. The Dena’ina add fireweed to their dogs’ food. Fireweed is also a medicine of the Upper Inlet Dena’ina, who treat pus-filled boils or cuts by placing a piece of the raw stem on the afflicted area. This is said to draw the pus out of the cut or boil and prevents a cut with pus in it from healing over too quickly. The capsule breaks open lengthwise to release seeds, each with a hairy plume. The root can be roasted after scraping off the outside, but often tastes bitter. To mitigate this, the root is collected before the plant flowers and the brown thread in the middle removed. In Alaska, candies, syrups, jellies, and even ice cream are made from fireweed. Monofloral honey made primarily from fireweed nectar has a distinctive, spiced flavor. In Russia, its leaves were traditionally used as a tea, before the introduction of tea from China starting in the 17th Century, it was greatly valued and was exported in large quantites to Western Europe as Koporye Tea (Копорский чай), Russian Tea or Ivan Chai. Fireweed leaves can undergo fermentation, much like real tea. Today, koporye tea or Ivan Chai is still commonly sold and consumed in Russia, though it is not nearly as popular as it was in Pre-Soviet Russia. Fireweed’s natural variation in ploidy has prompted its use in scientific studies of polyploidy’s possible effects on adaptive potential and species diversification. Because fireweed can colonize disturbed sites, even following an old oil spill, it is often used to reestablish vegetation. It grows in (and is native to) a variety of temperate to arctic ecosystems. The Cree of northern Alberta use it for a number of medicinal reasons including as an analgesic for the relief of toothache or headache, for oral hygiene to cleanse and disinfect the teeth, and to relieve the effects of exhaustion or fatigue. Yarrow’s medicinal use is ancient. The pioneers considered yarrow-tea a good remedy for “malaria”, a designation freely used in those times to describe various fevers, and when taken very hot it is a good treatment for this affliction. Potter deemed it a diaphoretic stimulant tonic used in infusion to treat colds and commencement of fever. It contains potassium and is deemed a sedative. Nettle is a most useful and beneficial plant. Flagellation with nettles was a method of treatment formerly employed in paralysis and to produce local irritation, which must have been very effective. Cree Indians used the plant as a treatment for rheumatism by walking bare-legged ~ bared as much as the individual dared ~ through the living plants and by rubbing them on affected parts of the body, with the caution not to scratch but to let the sting wear off naturally. Strangely, the juice from its leaves will heal the nettle‘s sting. Medicinally, in herbal practice, nettle tea was used in the treatment of neuralgia and asthma, to expel worms, and as a blood purifier ~ as John Gay said in 1732, “Elder’s early bud with nettle’s tender shoots, [will] cleanse the blood.” Inhaling the smoke from the dried leaves was also said to relieve asthma and bronchitis. The shrub was widely used. The strong, pliable wood was much sought for arrow-making, and the beautiful white flowers, among the first of spring, were seen as a symbol of that season and of the rejuvenating earth, and were used in religious ceremonies. The alders are closely related to the birches. ‘Because of its hardness, some Interior aboriginal people used mountain alder wood for making bows and snowshoes. Because it doesn’t flavour the food, they also used it for smoking and drying salmon and meat. Like red alder, it was a source of dye and a substance for tanning hides. The Carrier made fish nets out of mountain alder and dyed them black by boiling them in their own juice. Fish cannot see the black nets. The everlastings, as the name suggests, will remain fresh-looking for months when used in floral wreaths. The pearly everlasting may be the most beautiful. It often shares habitat with yarrow and somewhat resembles it with its broad clusters of small pearly-white flowers topping a long stem on which run lance-shaped leaves. According to Vogel, the Flambeau tribe spread pulverized flowers of pearly everlasting over live coals to aid a patient stricken by paralysis. Not long ago, the idea that a preschooler could be a bully seemed crazy to me. … the act of willfully causing harm to others through verbal harassment (teasing and name–calling), physical assault (hitting, kicking, … Talk to your child’s teacher. This entry was posted in #NativePlants, edible native plants, Native Plant Program and tagged Algebra Project, artisans, Baltimore Syllabus, bees, butterflies, children, Definition, domes, edible, Fireweed, Fireweed recipes, Flint Water crises, Food, foraging, garnening, GMO, GUARDIANSHIP AUTHORIZATION, home school club, hummingbirds, IRAQ, kids, lesson plan, medicinal plants, Mike Brown, milkweed, Native Plant Program Recipes, Native Plants, no hitting, No name calling, Non-GMO, Parental consent/permission letter, Phytoremediation, Pollution, Seed bombing, seed bombs balls, sewing, Somalia, Ubuntu, watercrises, wildflowers, woodworking, Yemen. Bookmark the permalink. Parabolas all have the same basic “U” shape. Great wall exercises without equipment to make your arms beautiful and strong! feel more comfortable serving and protecting. KOCH BROS DENY KKK BROTHERHOOD? The strategic funnelling of arms.